Ten years ago today was a great day in gaming, as it marked the US release of the Sega Dreamcast. 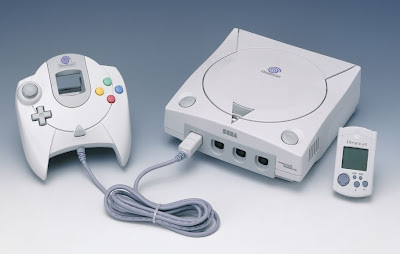 The Dreamcast was easily one of the best game consoles ever, but never got proper recognition. This was mostly due to Sony's propaganda about their PS2's capibilities which were never noticable over the Dreamcast, and in some cases games ran worse on the Playstation. A great example of this is was the noticable jaggies in the PS2's anti-alias. 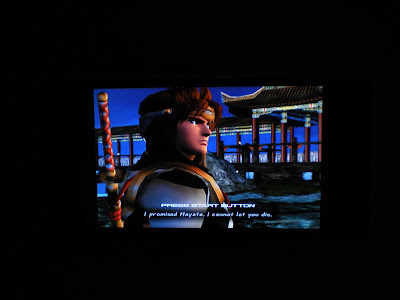 The Dreamcast used 2x full screen anti-alias and looked great right from the begining. It took over a year for PS2 developers to fix the issue on the PS2. Another great thing about the Dreamcast was that is was the same as the Sega Namoi Arcade Hardware, with just less memory. This allowed all the great arcade games that ran on the Namoi to run the the Dreamcast arcade perfect. A great example of this is Capcom Vs SNK and Guilty Gear. The Dreamcast holds up awesome even today, where the rest of the consoles from it's generation display poorly on a HD TV. Just hook your Dreamcast up via VGA and it looks awesome! 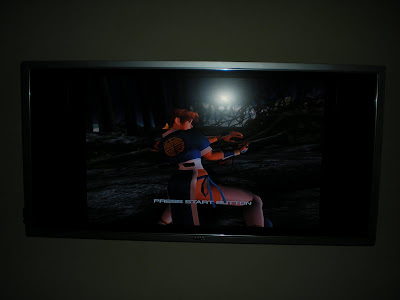 My Dreamcast connected to my HD TV via the vga cable, looks awesome! My friend Matt who worked at the Babbages in Crossgates Mall in Guilderland, NY where I bought my Dreamcast posted photos from launch day, I am not in them, but it sure brings back the memories (tear). Don't buy Galaga for the T-Mobile Sidekick!